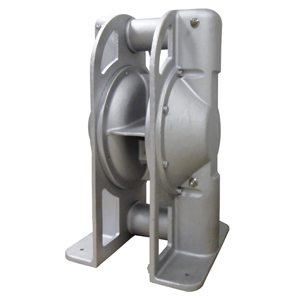 made from Aluminium, Cast Iron, Stainless Steel and PTFE coated Aluminium. 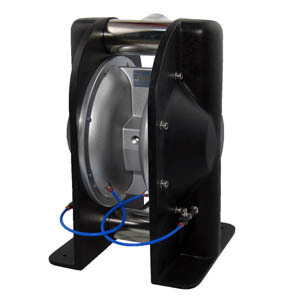 available in explosion proof marked version. 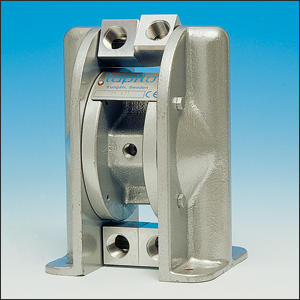 ½", ¾", 1", 1½", 2", 3"
For transfer of pH-neutral fluids, both thin, thick, solid laden or abrasive. 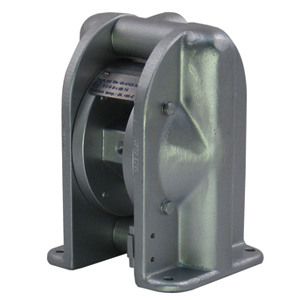 The aluminium are found in most fields; work shop and paint industries, purifying plants etc., to mention only a few. Made in lost wax cast method, ensuring great accuracy and finish. 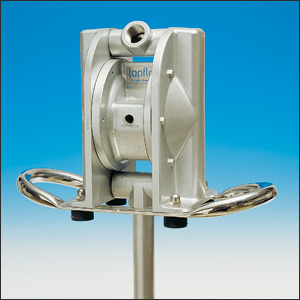 The stainless steel pumps combine great mechanical strength with good chemical features. AISI 316L is resistant to aggressive liquids like nitric acid and sodium hydroxide. 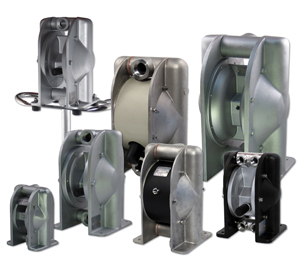 Aluminium pump include all wet parts coated with PTFE, equipped with stainless steel in/outlet ports. 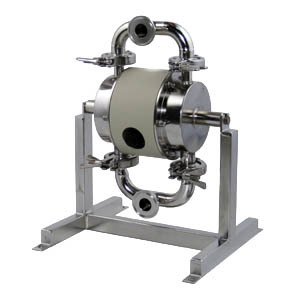 The model was developed for the printing industry where all sorts of applications where slightly acidous or alkaline liquids need to be transfered. 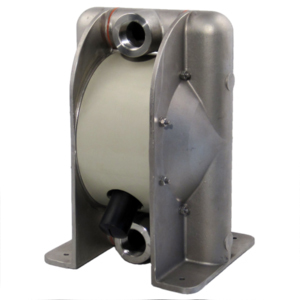 The powder transfer pump will handle different types of process powders with specific weight from 80 up to 720 kg/m3 dry weight. A few example of common powders are sintering powder, carbon black, resins and silicones. 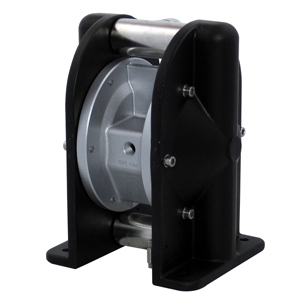 The drump pump is ideal for mobile use and is available in aluminium or stainless stel AISI 316L. It is fit with an ergonomic designed handle in stainless steel AISI 316L. 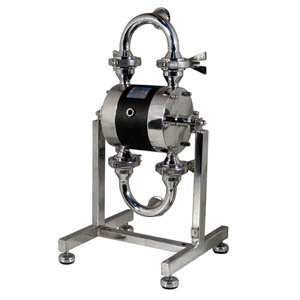 The metal series pumps may be equipped with double in/outlet to achieve "two pumps in one" for blending, mixing or circulation of liquids. 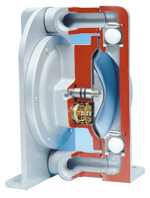 The liquid in one pump chamber is seperated from the other one.